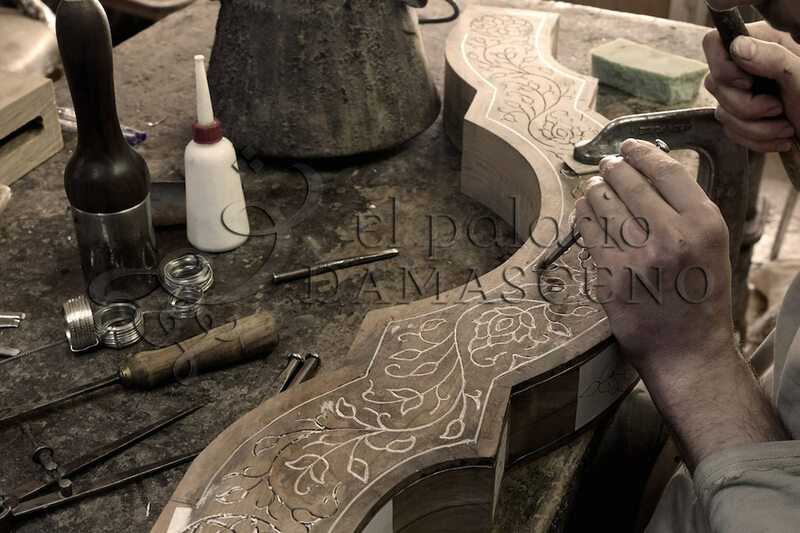 When it comes to creating our magnificent Syrian furniture the process is something which our artisans take very seriously. 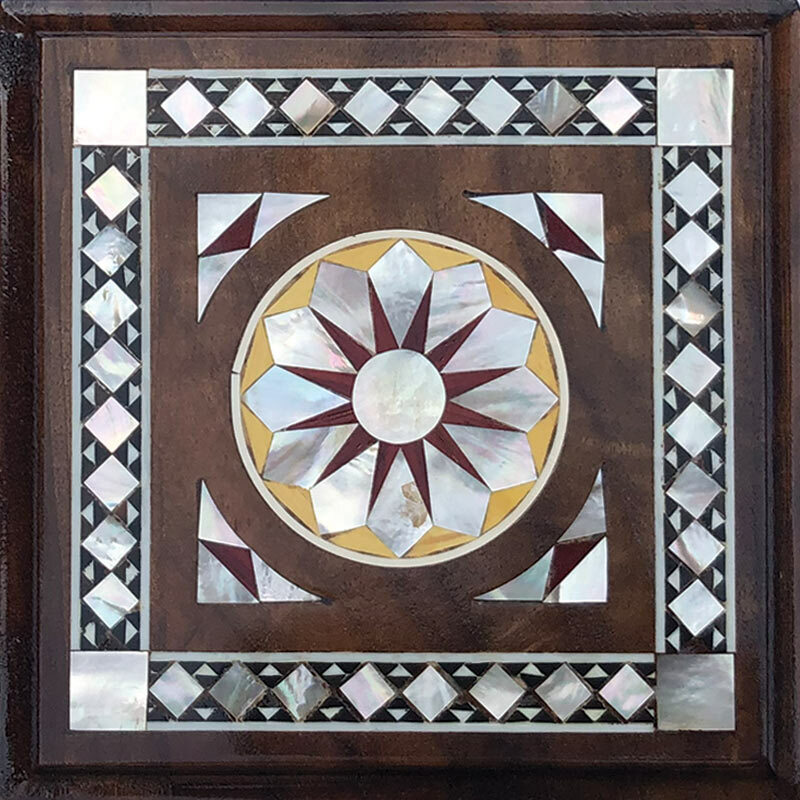 This distinctive design style is striking in appearance and we use only the finest materials and traditional crafting techniques. All furniture in our collections of inspired by the artistic style of Syria which is rich in Islamic influence but there are seven different styles which we apply to our furniture. And because all of our furniture is custom made to your specifications you can choose the style you prefer. With every piece of custom made Syrian furniture, we start by drying the wood to ensure that wood won’t bend or cracks form. 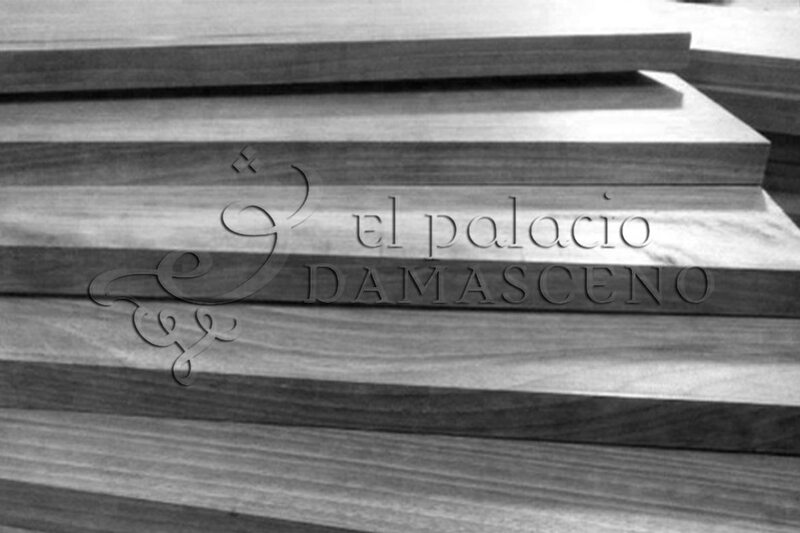 The wood we use is walnut which is praised for being solid, weighty and durable. In addition walnut wood is not a wood with a tendency to warp. All these combined make walnut wood the perfect material to work with. 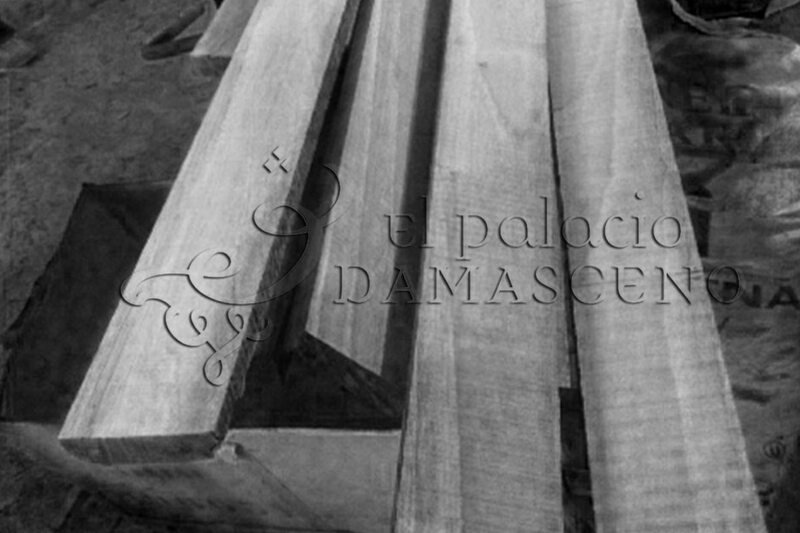 Once the wood is suitably dried, our craftsmen will cut the wood to the desired shape and size. 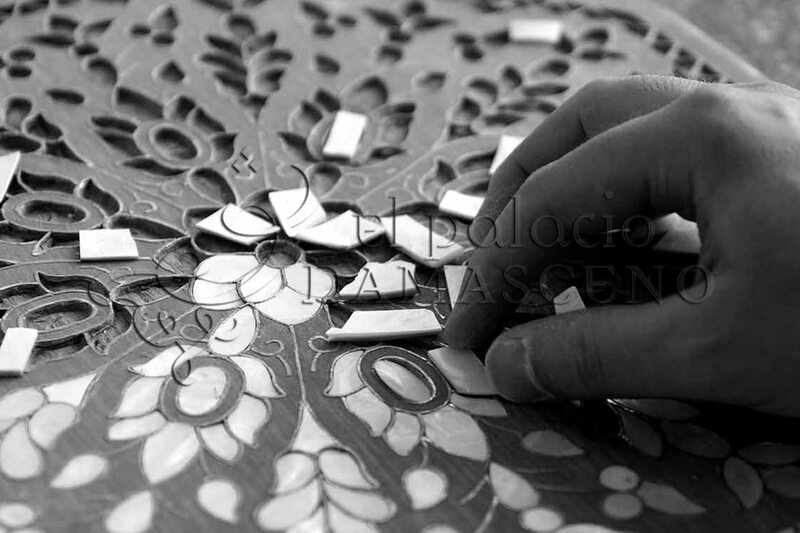 We will then begin to carve the recesses in the wood in which the Syrian mother of pearl will feature. 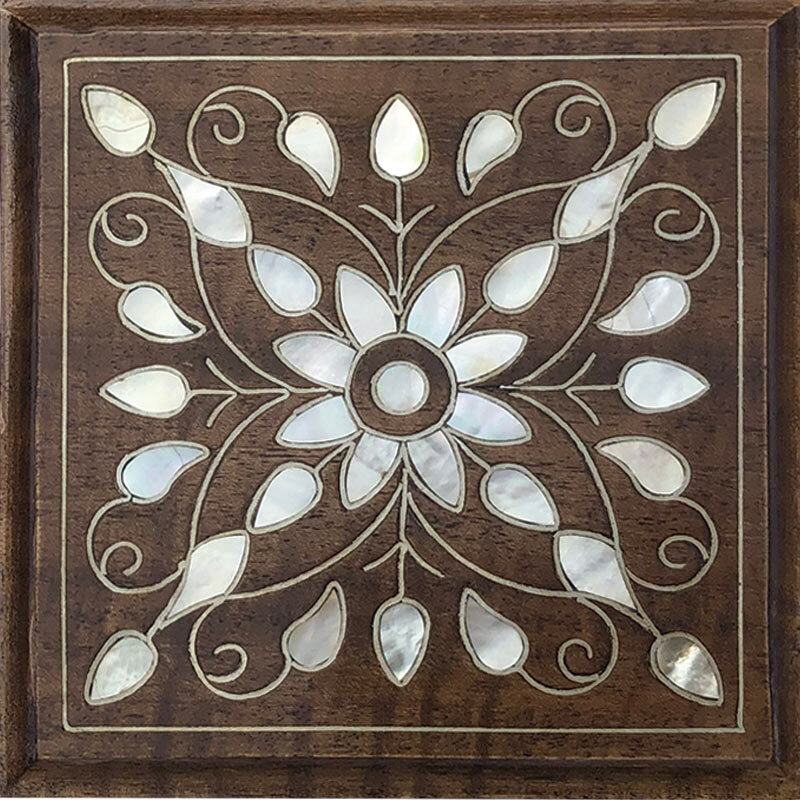 The shape and style of the inlaid mother of pearl or carvings is dependent on seven different Syrian inlay styles. Mushaggar is Arabic in origin and refers to tree like patterns. 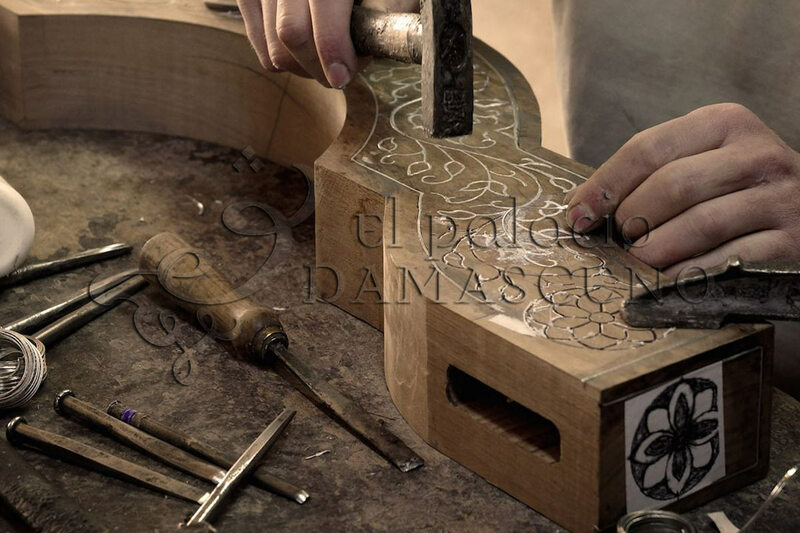 Holes are carved and the Syrian mothers of pearl and bone lines are then inlaid. 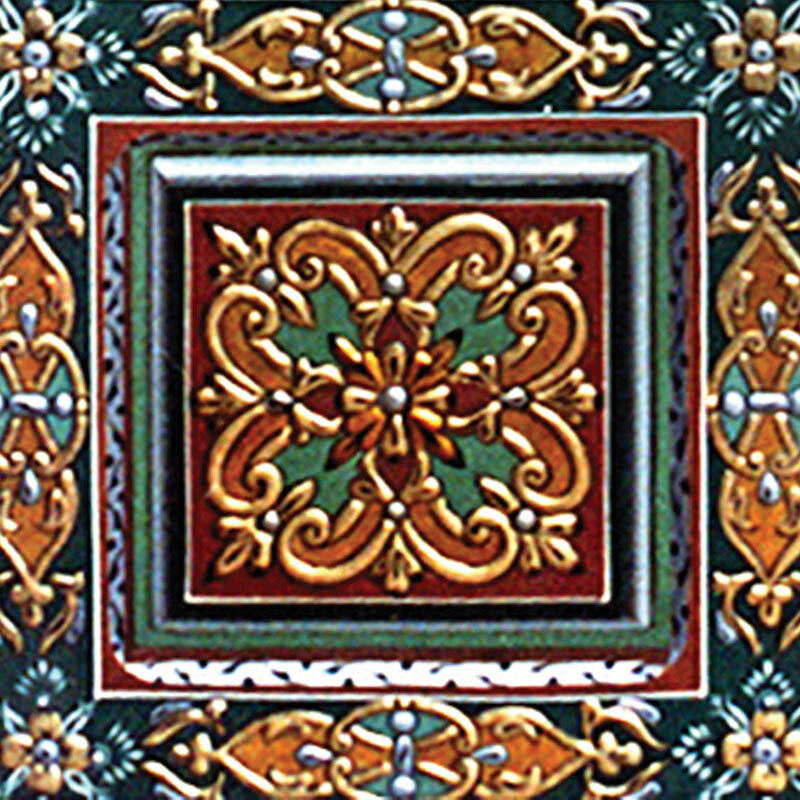 This distinctive style has been popular throughout the history and is applied in much of Syrian art pieces. 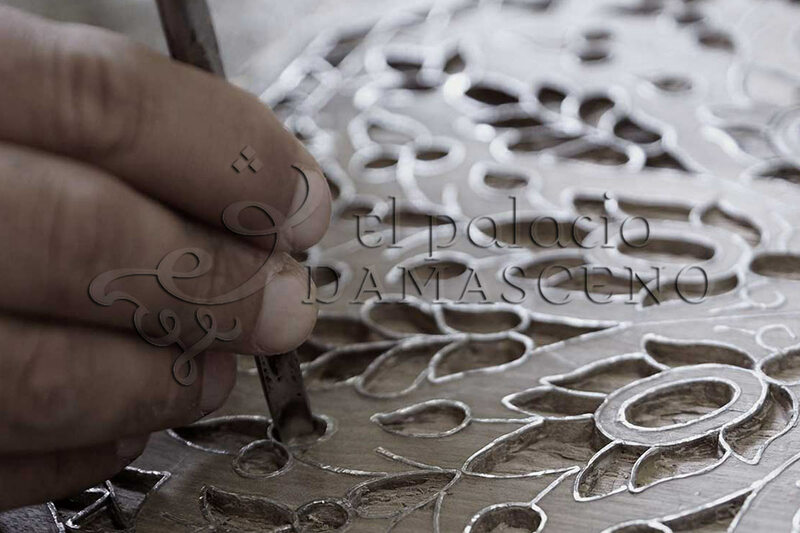 Similarly, Arabi is the art of inserting a silvered line in the shape of floral, branch and leaf patterns. 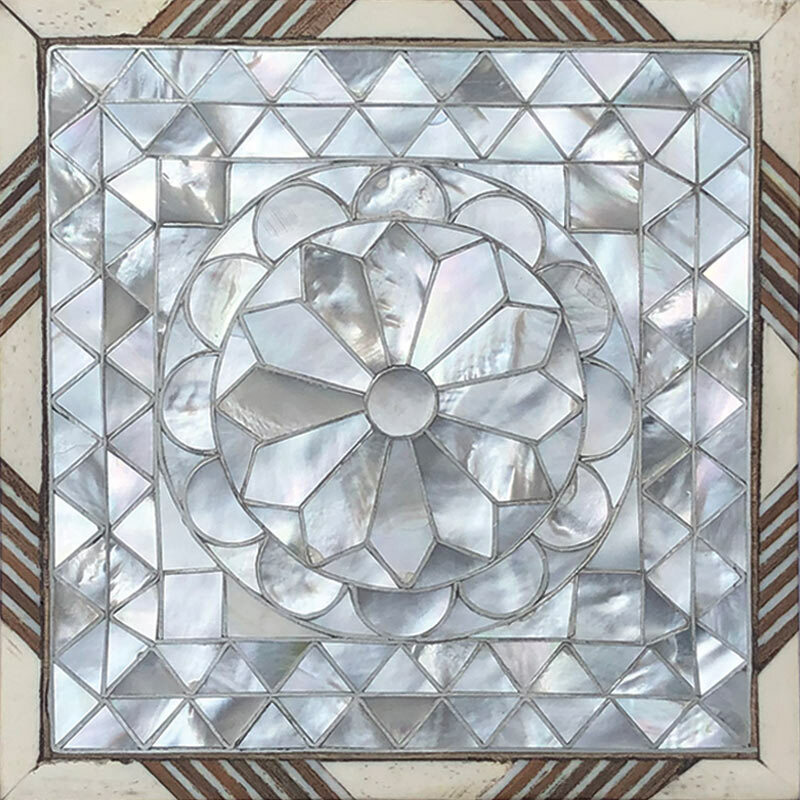 The recesses that are left are then filled with Syrian mother of pearl giving this design style an exceptionally distinctive appearance. 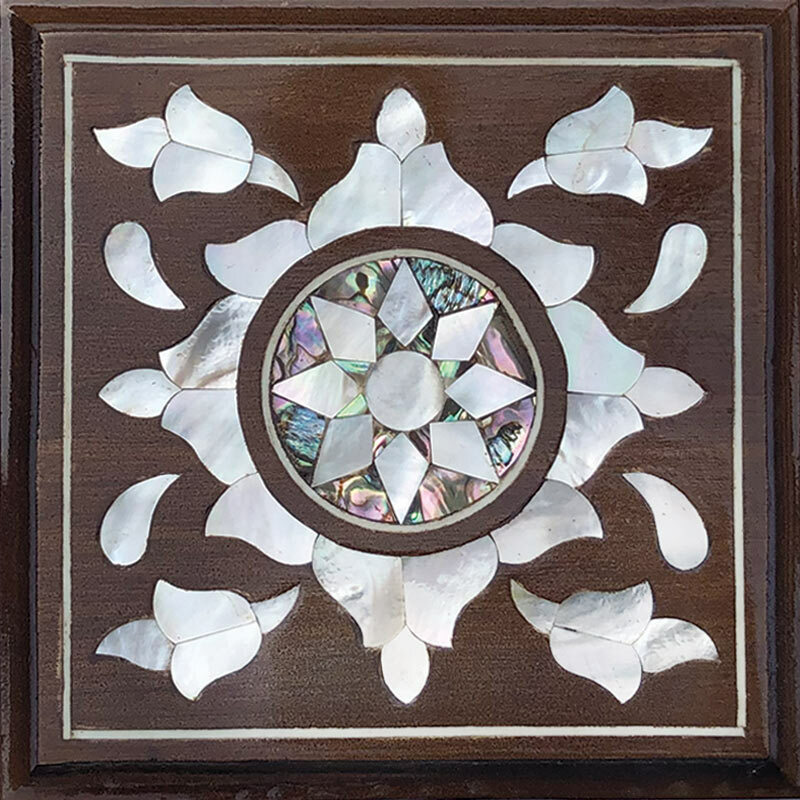 Tals is similar in concept to Arabi except that once complete you cannot see the wood as the piece is completely covered with mother of pearl and bone. This design style is favoured by those who are looking for exceptionally elegant and distinctive Syrian furniture. Masri can be compared to Mushaggar but with small geometric patterns. Commonly the item is fully covered with a mixture of mother of pearl, bone and black mass. The result is an incredibly eye catching Syrian Furniture creation. Fatimi is an extremely distinctive wood sculpting style and is a great way to ensure that a piece stands out, quite literally. 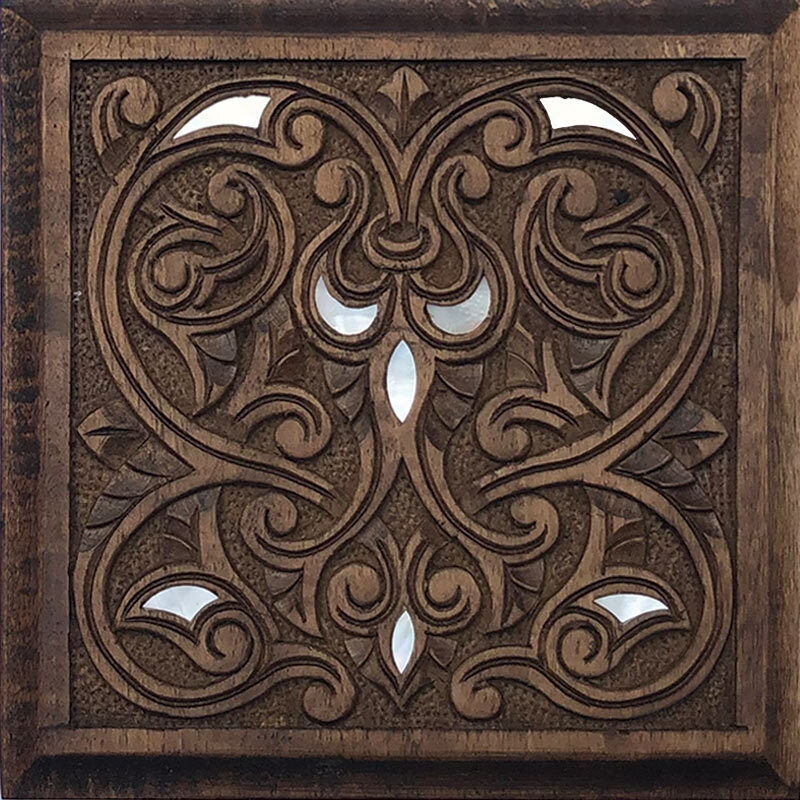 The wood is cut to appear 3 dimensional and could mean floral or geometric patterns. Mother of pearl can be added as a finishing touch. Possibly the most well-known of all the styles we incorporate into our Syrian furniture creations, Mosaic is easy to recognise. We use a variety of woods including olive, lemon, rose and eucalyptus. 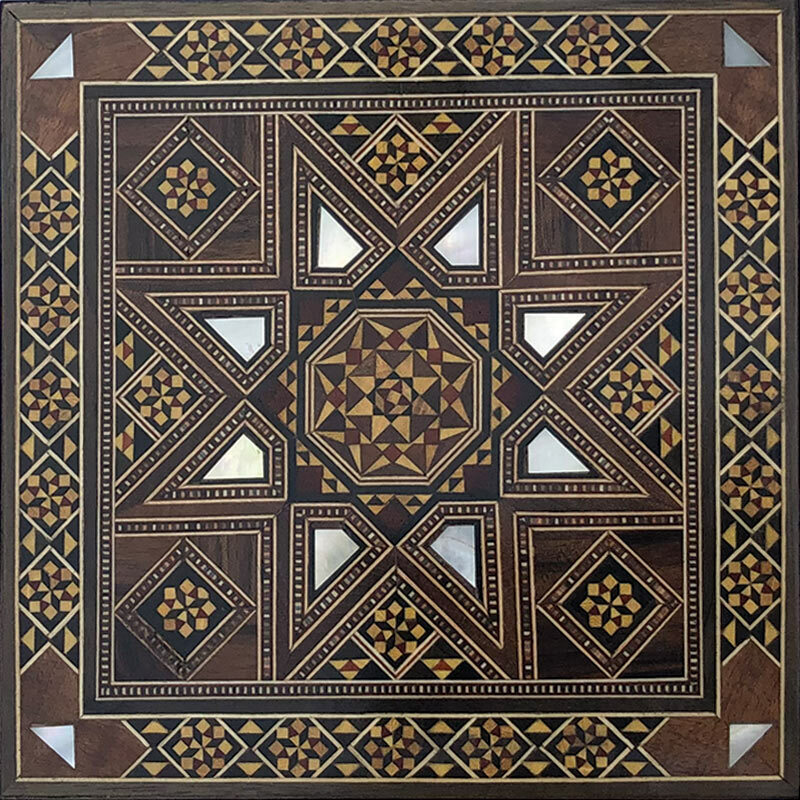 The different kinds of wood vary in tone and are cut into triangles, squares, octagons and other geometric shapes making for a wonderfully striking result. 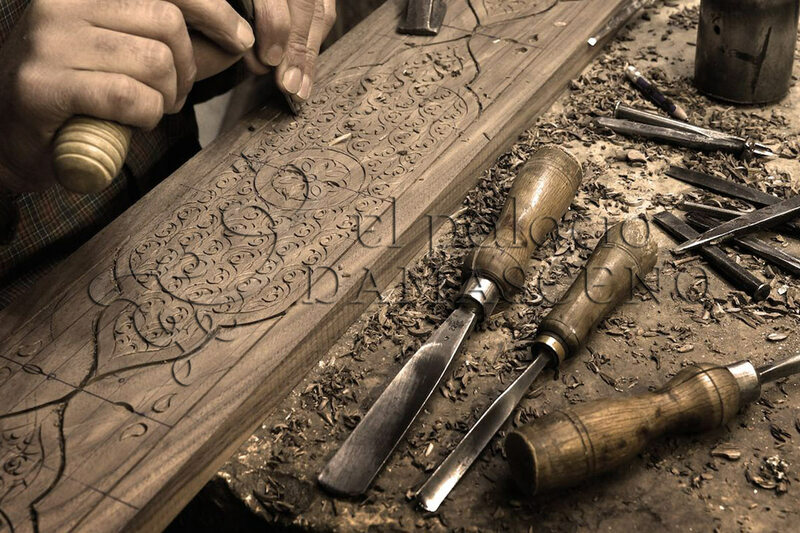 The desired pattern, usually floral or Arabic calligraphy, is drawn onto the wood base using carbon powder. 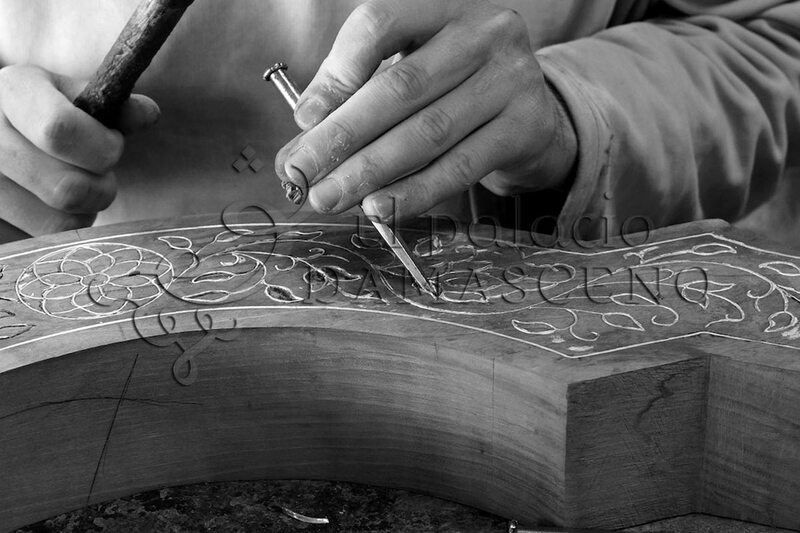 Our artisans then go on to prepare a special mass made of plaster and vegetal components. We then use this mass to create the pattern branches. This effect gives the wood a 3D effect. Once complete the whole item is then painted using different natural colours and/or golden paper. 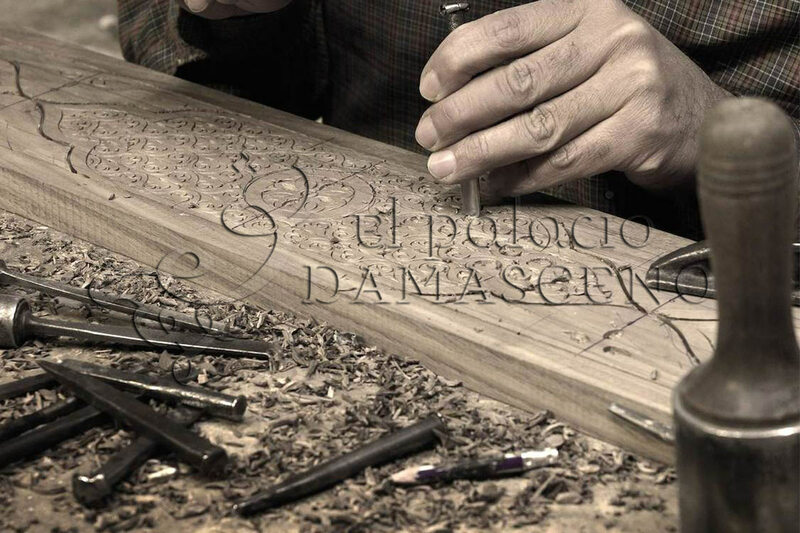 We sand each item after each step and the final step is to varnish the piece. 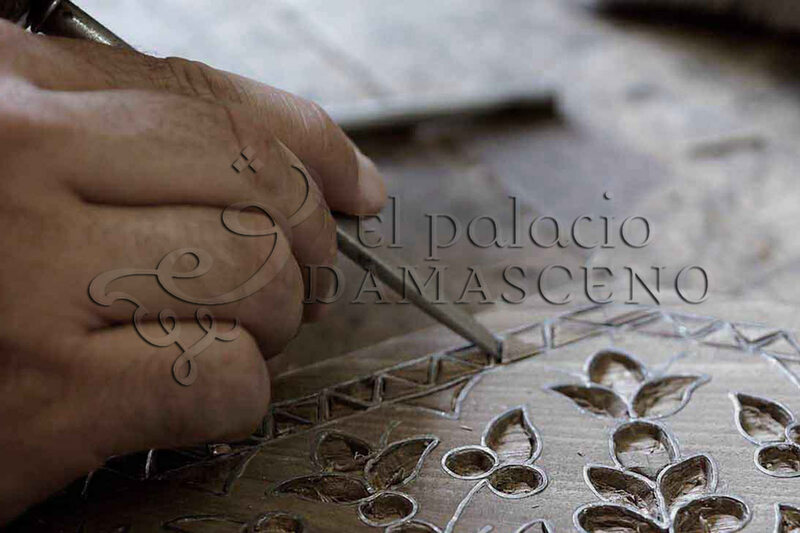 We use shellac varnish on all of our Syrian furniture items and this is applied by hand. We generally apply between 5-10 coats to ensure that the wood and decoration underneath is adequately protected. 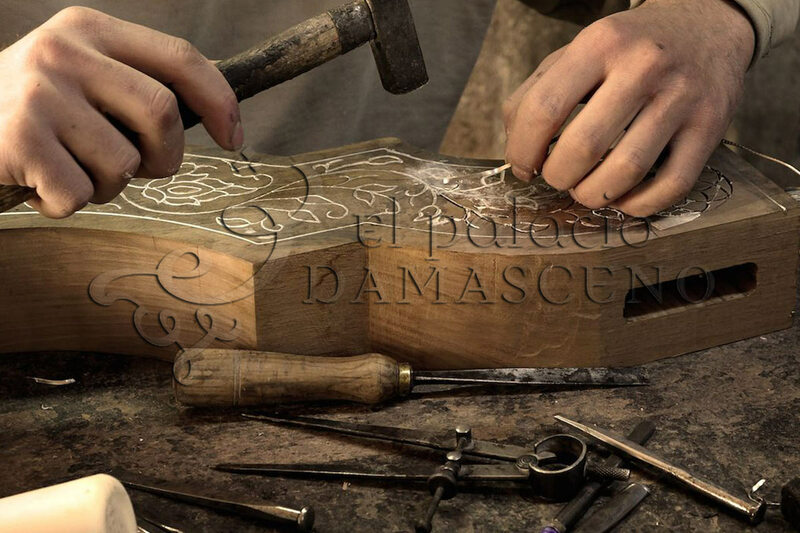 We handcraft all of our custom Syrian furniture meaning if you want a particular piece in different dimensions our passionate and highly skilled team of artisans can oblige. 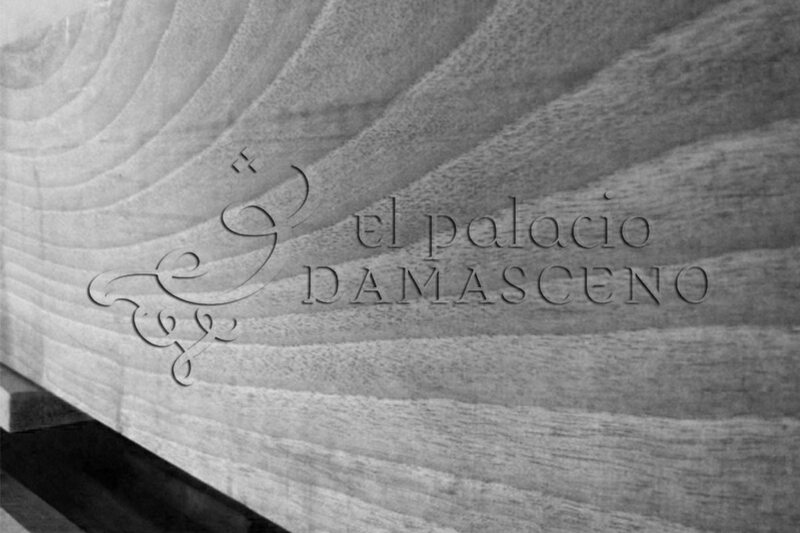 If you would like to get in touch with the team at El Palacio Damasceno you can do so by contacting us on +34 9113 999 72 or via our online contact form.